The awaited annual celebration of Sinulog this year is very special for Cebu and the whole Philippines. Pope Francis will be visiting the Philippines on January 15, 2015. It is an honor for the whole country to be visited by the Great Holy leader of Roman Catholic community. Cebu may not be his destination but Cebuanos are in one with the celebration of his coming and it is in full blast preparation for the upcoming yearly Sinulog celebration. You can read about the history of Sinulog from this link. Sinulog or the feast of Sto Niño is celebrated every third Sunday of January. Devotees of Sr. Sto. Niño (Spanish for “Holy Child”) from all over the country will be expected to join the festive celebration. Sinulog street dancing contingents of the upcoming festival are practicing daily for the big event which will be held at Cebu City Sports Center on January 18, 2015. Sinulog just had an opening salvo on January 8 with a “Walk with Jesus” event, a procession of the devotees from Cebu Osmeña Circle to the Basilica Del Sto Niño. Street parties and night events all over Cebu City will officially start on January 9. Check the schedules here. 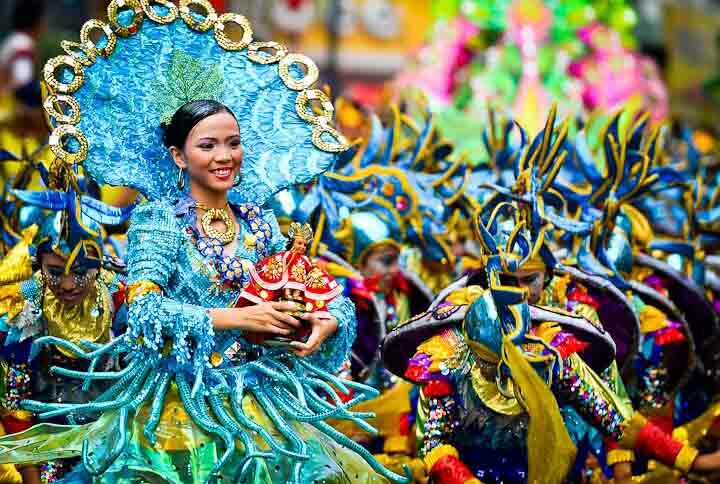 The Sinulog Mardi Gras or the grand parade will be on the feast day, January 18. You can witness a very colorful Cebu City on that day. Another thing that you should not miss during the Sinulog Festival is the Miss Cebu beauty pageant coronation night which will be on Wednesday, January 14, 2015 at 7:00 in the evening at Pacific Grand Ballroom Waterfront Hotel & Casino in Lahug. You will see lots of beautiful ladies from different parts of Cebu. You can follow them in Facebook for updates. After the Sinulog festival, there are lots of places in Cebu that you can visit. To mention some, the whale shark watching in Oslob which will just take 2 to 3 hours to travel from the city, or the Kawasan Falls in Badian. Contact us today if you want us to take to these destinations.